Prior experience with the company. The carriers must have current insurance and an active MC authority. Honey Bee Auto Transport is an honest and friendly company owned by Karen and Dale Price. They are dedicated to making their customers auto transporting experience as easy as possible. 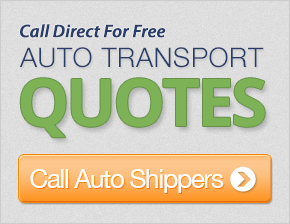 They ship cars, trucks, classic cars, luxury cars, and motorcycles. Whenever it's possible they will offer customers door-to-door auto transport to make your shipping experience even easier. You have the option to have your vehicle shipped in an open or enclosed carrier. They ship to 49 states, including Hawaii, Puerto Rico, and the Virgin Islands. Paying for your auto transport couldn't be easier with their many car shipping payment options. They accept Pay Pal, Master Card, Visa, American Express, and Discover. And the best thing is that there is no deposit required to place an order with them. As their customer, your vehicle is automatically insured just in case anything should happen. They also offer excellent discounts such as seasonal auto transport discounts (snowbirds), and multiple car discounts. Once you have chosen Honey Bee Auto Transport to ship your vehicle, they encourage you to call for status updates, and you can even go online to track your vehicle. Get a free comparison quote right here at CarMoves.com and save! Fastest auto move I have ever had! Everyone was anxious to be helpful. Everything went as promised. Anyone needing to transport a vehicle should call this company now! I was happy with the delivery time period. My car was picked up on Sunday night in VA and delivered to CA on Saturday morning. The speed of delivery was great! Thanks! Customer support was great and the driver who did the delivery at the pick-up point was great! Our customer service rep conducted himself very professionally. Great job! I will recommmend your service again. Overall, our move went very well. Our pick-up on the West Coast and drop-off on the East Coast were on the correct days. Clean, professional, and well organized company. They were more than helpful. Thanks! It was a pleasure to work with the customer support staff and your company.